Project Catalyst takes a deeper look into the behavior of millennial banking customers as mobile wallet users. Millennials and Mobile Wallets, offers rich insights on the behavior of millennials and their behavior with mobile wallets. The data from two respondent groups was extrapolated and codified to provide a separate report on millennials. This report’s intention is to provide U.S. banks with helpful research on this cohort’s behaviors and attitudes towards banking apps and mobile wallets, and provides an overview of millennials’ behavior and implications for U.S. banks. 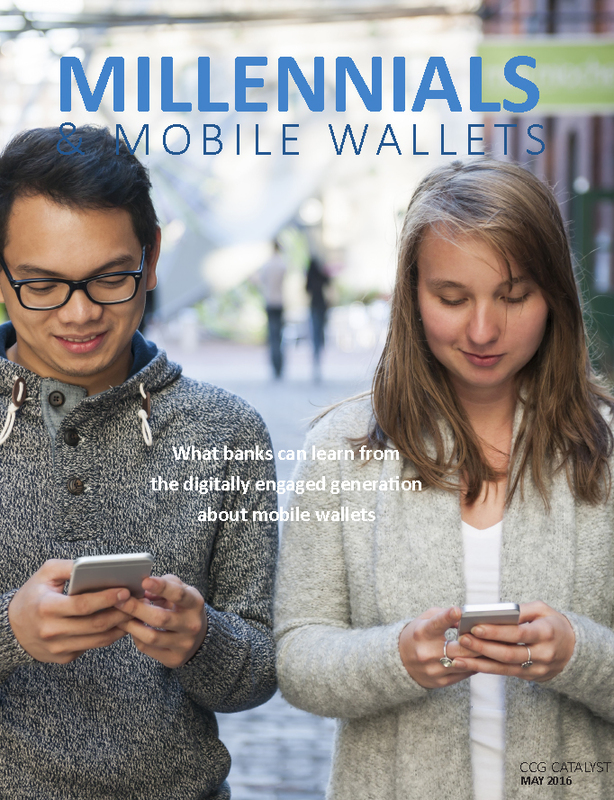 The full report provides 39 pages of analysis and insights on the behavior millennials have with using mobile wallets and their thoughts on a bank mobile wallet, comparison between millennials and non-millennials, predictions of usage, and 33 graphs illustrating the analysis of findings. This report’s focus is on millennials and their use of mobile wallets, gathers perceptions, behaviors and attitudes of millennials and their routine with banking and use of mobile wallets. Demography – household income, education, career, ethnicity, employment.